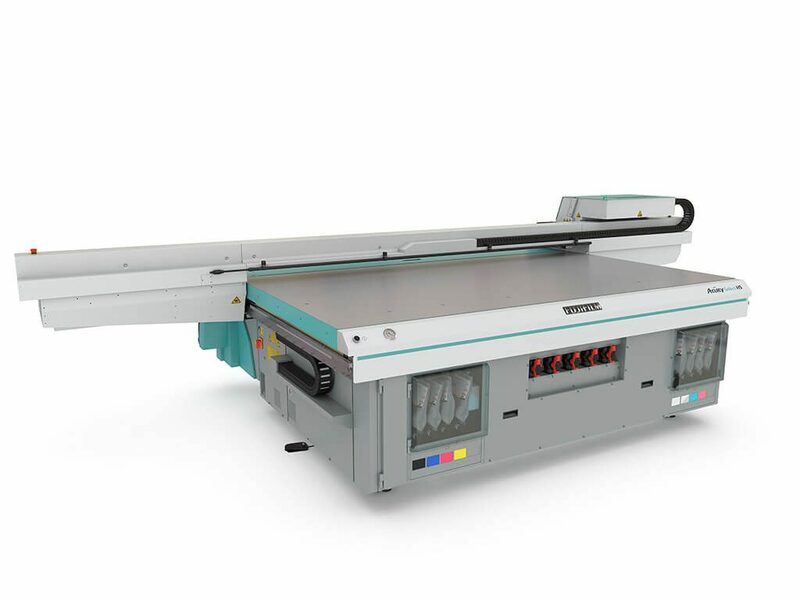 The Acuity Select HS with up to eight color channels and a maximum print speed of nearly 700 feet squared per hour (65 square meters per hour) is a balance of the creative and production focused Acuity model. In comparison, the Acuity Select prints at 377 square feet per hour (35 square meters per hour). And like the Acuity Select, the HS prints high quality, near-photographic prints using rigid, flexible and optional roll media. 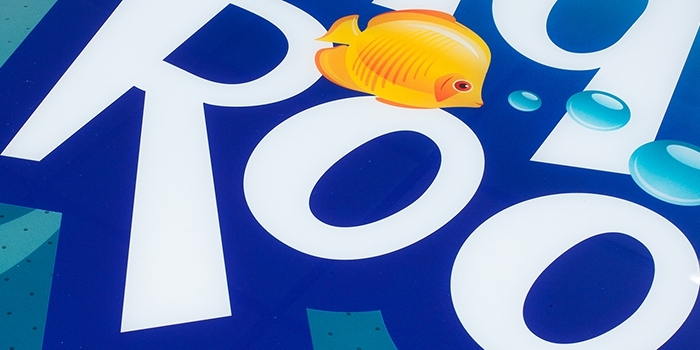 White + Varnish – Adding these two ink channels allows for printing on a range of non-white substrates and adds a spot or flood coat varnish effect in a single pass. Up to 8 Color Channels – Select the color configuration that best suits your application needs. An upgrade path exists if you wish to start with the 6-channel version. Automatic Maintenance System (AMS) – The Acuity Select HS is equipped with an AMS standard. The AMS cleans all the printheads in less than 3.5 minutes, ensuring that the nozzles are clean and ready to print at any time, maximizing productivity. Roll Media Option – A compact roll-to-roll unit extends the versatility of Acuity Select HS 30 series printers. High quality images can be printed on roll media which look great even at close viewing distances. Continuous Production Model Option – Expand the standard bed from 98.8″ x 49.6″ (2.51 m x 1.26 m) to double bed size of 98.4″ x 121.7″ (2.51 m x 3.09 m) for printing larger images. Includes dual registration points, so you can set up in one zone while printing on the other zone. The Uvijet family of inks offers excellent adhesion and application flexibility. Ideal for both indoor and outdoor applications including banners, POP, backlit images, exhibition graphics, signage, printing onto glass, metal, acrylic and board. The Acuity Select HS 30 series uses Uvijet KN, KO, or KV-series UV curable inks. Note: Light inks are not available with Uvijet KV.